The Iron Cross Sidearm Steps are a brand new design that feature a departure from the typical hoop step. These steps have a unique step that connects to the main bar on one side making them stand out from other products on the market. 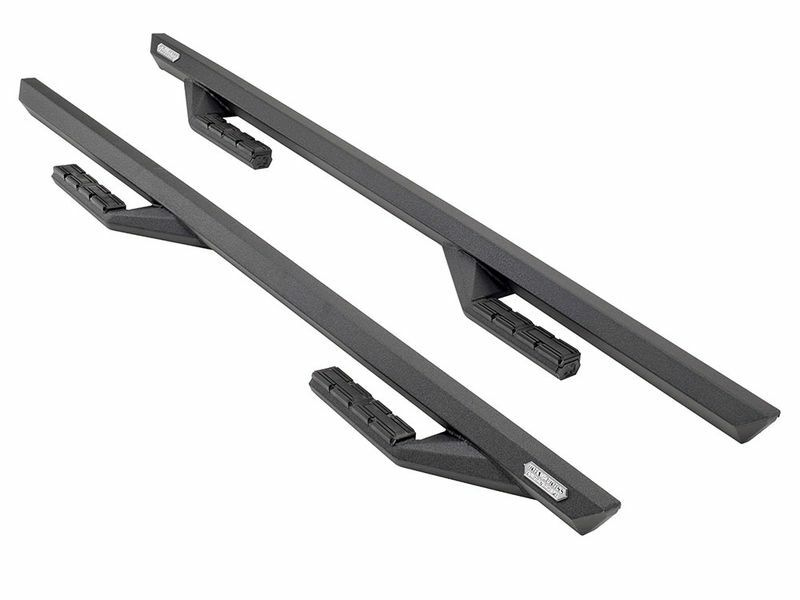 The best part is that these Sidearm Steps are designed to be extremely rugged due to their heavy duty steel construction. They are made with a polygonal main tube with external steps that extend off the main bar. The built in steps are equipped with an integrated step surface made to give you ample traction in all weather conditions. Whether you're a contractor, soccer mom or a daily cruiser, these boards will last. They are powder-coated with a textured black finish which was specially formulated to withstand harsh conditions and any abuse you throw at them.